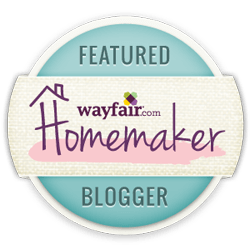 Welcome to Farmhouse Chic Blog! Let’s start by me introducing myself. I’m Fotini from Columbus, Ohio! I’m an enthusiastic DIY Mommy with expensive taste and an eye for style! I take expensive ideas and turn them into my own creations! This little blog is where I get to share my passion for crafting, creating and finding my style while I turn our house into a home! But, I don’t stop there… I share all things I love! Recipes, home renovations, lifestyle and more! I’m a fashion lover and flower obsessed! I hope you will follow along with me as I share my passion in life! For more information on collaborating, please visit my media kit page! Want all these goodies delivered right to your inbox? Sign up below!